Goodmorning, it's sunday. A new day of revolution in France. Paris is already burning again 🔥🔥🔥. Want to know what happened yesterday in #Paris? On saturday president Macron ordered French police to shoot at people (press included). There were snipers on the #ChampsElysees, #Paris. 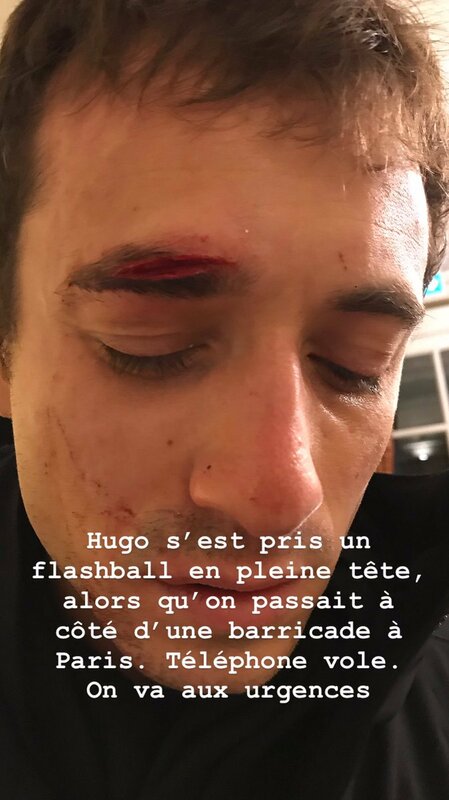 This is journalist Hugo Clément hit by a rubber bullet.